On 10h March 2018 at the 26th GST Council meeting it was decided that nationwide e-Way Bill for inter-state movement of goods will be implemented from 1 April 2018. e-Way Bill for intra-state movement of goods will be implemented in a staggered manner from 15 April 2018. What is this e-Way Bill? 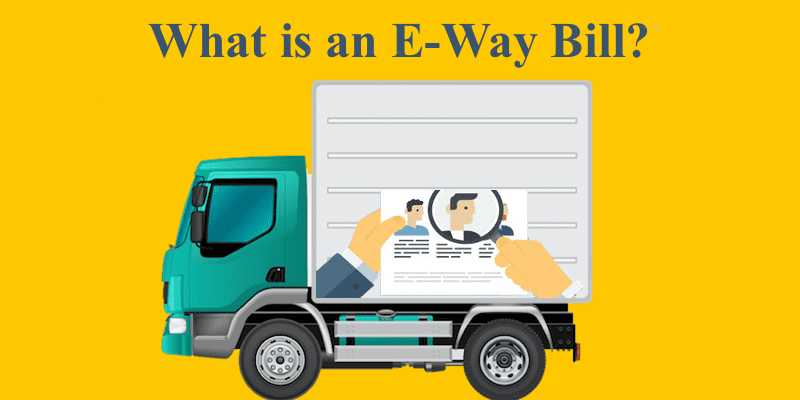 e-Way bill is an electronically generated document which is required for the transportation of goods of more than 50,000 rupees for both intra-state and inter-state movement. In the aegis of GST Raj transport of goods of more than ₹50,000 (Single Invoice/bill/delivery challan) in value cannot be made by a registered person without an e-Way bill. The electronic bill has to be generated by transporters on the GSTN, the technology which stands out to be the bedrock of GST. This system is developed by the National Informatics Centre (NIC) and its implementation is being handled by the GSTN. “A GST regime without an e-Way bill system is impotent,” said SP Singh, senior fellow at Indian Foundation of Transport Research and Training. Who needs to generate an e-Way bill? c) Due to inward supply from an unregistered person. Every unregistered person who causes movement of goods. Transporters carrying goods by any medium need to generate this bill if their supplier has not generated an e-way bill. When to issue this e-way bill? e-Way bill will be generated when there is a movement of goods in a vehicle/ conveyance of value more than ₹50,000 either each Invoice or in aggregate of the total invoices in a vehicle. For any transport that falls within the below parameters an e-Way bill is mandatory. ₹ 50,000 Rule: Exceptions are always there! For certain specified Goods, the e-way bill needs to be generated mandatorily even if the Value of the consignment of Goods is less than ₹50,000. Consignor transporting goods to or from between place of business and a weighbridge for weighment at a distance of 20 km, accompanied by a Delivery challan. Goods being transported by rail where the Consignor of goods is the Central Government, State Governments or a local authority. Or the consignor or consignee is the Ministry of Defence, or the goods are accompanied under customs seal or under their supervision. The invoice or Bill of Supply or the Delivery Challan. Either the copy of the e-Way bill or the e-Way bill number mapped to a RFID. What about the Validity of E-way bill? For a distance less than 100 km the validity period is one day. For every 100 km or part thereafter one additional day. In case goods has not been transported and an e-way bill has already been generated, the bill can be cancelled electronically on the GST website through a GST facilitation within 24 hours. E-way bill cannot be cancelled if it has been verified in transit. For multiple consignments If a transporter is transporting multiple consignments in a single conveyance, they can use the form GST EWB-02 to produce consolidated e-way bill, by providing the e-way bill numbers of each consignment. If both the consignor and the consignee have not created an e-way bill, then the transporter must fill out PART A of FORM GST EWB-01 on the basis of the invoice/bill of supply/delivery challan given to them. Thanks for sharing this informative information regarding. I would like to know if the automatic generation of waybill was implemented.